I read an article a couple of years ago about how current 20/30-somethings were raised to work in teams, abolishing the old model of claw your way to the top and don’t care who you step on. We were raised by flower children who may have abandoned the batik print caftans but definitely didn’t abandon the principals of sharing and caring. 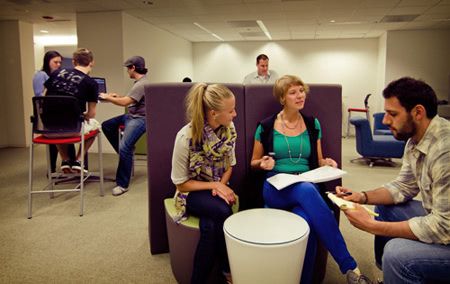 The startup world is a great example of this kind of work. While it’s absolutely essential to have someone with vision and drive at the helm, we all know that a good team is essential for startup success. Sounds like the house I lived in right after college, to be honest, but Catapult Chicago isn’t about eating sustainably and creating a “compost pile” (read: rotting food) in a plastic garbage can out front. Instead their focus is on creating a peer selected community of startups in order to tap into the best that Chicago has to offer. 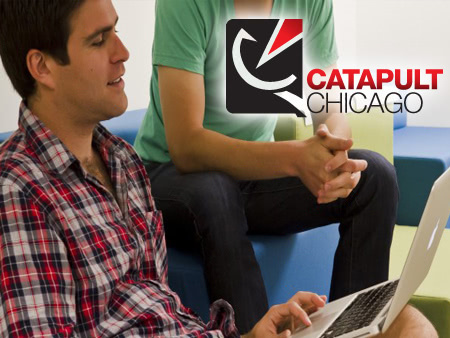 Catapult Chicago employs a peer-selection method in which current members vote democratically about who they’re going to take for the next round. Sounds a bit Occupy Wall Street, doesn’t it? Dabble is a site where you can choose from a variety of classes being offered in your city for the low price of only $20. It’s kind of like skill sharing, but you pay for it. Buzz Referrals is all about self-promotion, offering a platform for digital referrals to websites. Shiftgig is taking LinkedIn’s model and making it more specific, targeting people in the nightlife, restaurant, hospitality and hotel industries. Tempo wants to provide huge amounts of storage space and analysis for datasets that would normally break the data bank. Think thermostat temps and heart rates. Procured Health has an app that helps hospitals figure out what medical product and technology they should buy and then how to implement it. Kula is jumping into the craigslist pool by creating a peer-to-peer mobile marketplace app, based on the user’s location. BucketFeet connects with artists and has them create rockin’ sneakers, which they then promote through social media and distribute. It’s no accident that these companies are tackling totally different markets, problems, and technologies. 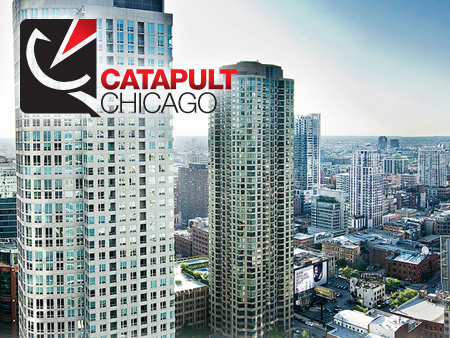 The Catapult Chicago ethos—like any commune type environment—is to embrace diversity and hope that they all can learn from each other in their 12,000 square foot office space in the River North area of Chicago. My 20-something brain totally digs this idea of a full-on collaborative community to nurture startups and who knows? If it it continue to work, maybe we’ll have a new model for incubators across the country.